BALTIMORE (CNS) — Catholic Relief Services has released an emotion-filled video as a way of starting a conversation about the world’s orphanages. Children no longer end up in orphanages in the United States, and officials at CRS want a world where there is no longer a need for such institutions. They are not advocating shutting down orphanages in poor countries and turning the children out onto the streets. CRS officials said their vision is to transform orphanages in countries like Haiti and South Sudan into family resource centers, offering families the support they need to keep their children at home. 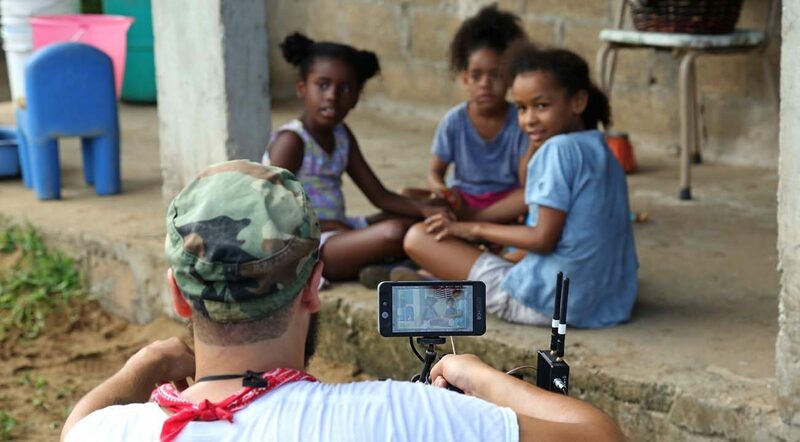 To help people rethink the concept of orphanages, the international Catholic aid organization wrote a script, scouted locations, employed a film crew, hired actors and traveled to Puerto Rico to tell the story of a poverty-stricken mother making the heartbreaking decision to send her daughter to an orphanage, said Sean L. Callahan, president and CEO of CRS. Though these institutions are called orphanages, Callahan said few of the children raised in them are actually orphans. Most people are unaware that 80-90 percent of children in orphanages have at least one living parent and, in most cases, poverty or disability is the reason why they are there, he told Catholic News Service in an August interview. CRS hopes the video, released Aug. 10, will help drive home this point, particularly to well-meaning donors who think they are helping children by supporting orphanages. The video is a departure from CRS’s tradition visual storytelling style. Typically, the organization films subjects in areas where it works and produces videos in short documentary form to show how people are affected. Though actors portray the characters in the video, the scenes were written from first-hand accounts of CRS colleagues who have witnessed such gut-wrenching events, Metzger told CNS. Callahan said although donors in countries like the U.S. often support orphanages for the right reasons, too many of the institutions they support do little more than raise money, leaving actual child care as an afterthought. Children in orphanages are at greater risk of sexual abuse and violence than those in family care, he said. CRS, and its partners Lumos — founded by author J.K. Rowling — and Maestral International are committed to breaking what they call the orphan myth and working, country by country, to replace orphanages with family care centers for more than 8 million children now in institutions throughout the world. The CRS video, “Changing the Way We Care,” can be viewed at https://youtu.be/umSJ3b1kcDk, and Metzger said he is encouraging people to share it on social media.